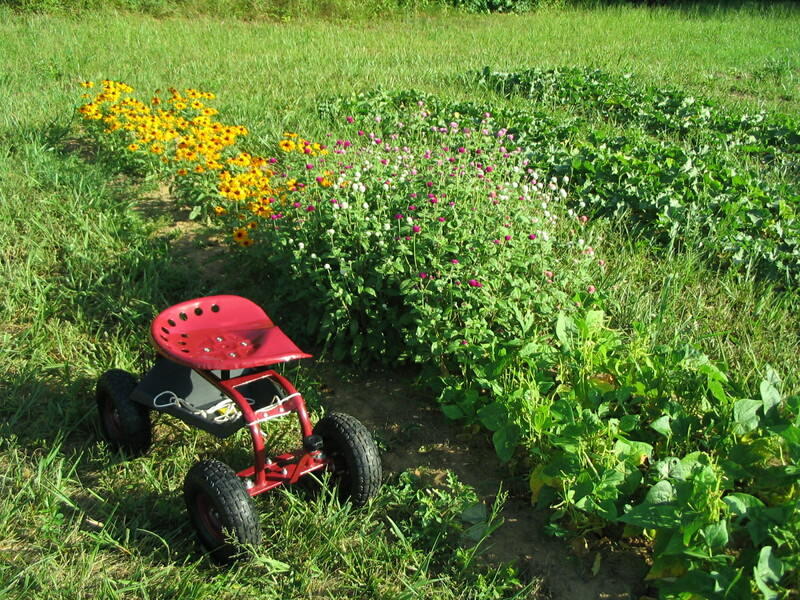 Check out my new garden scooter. Now I can pick beans in comfort. 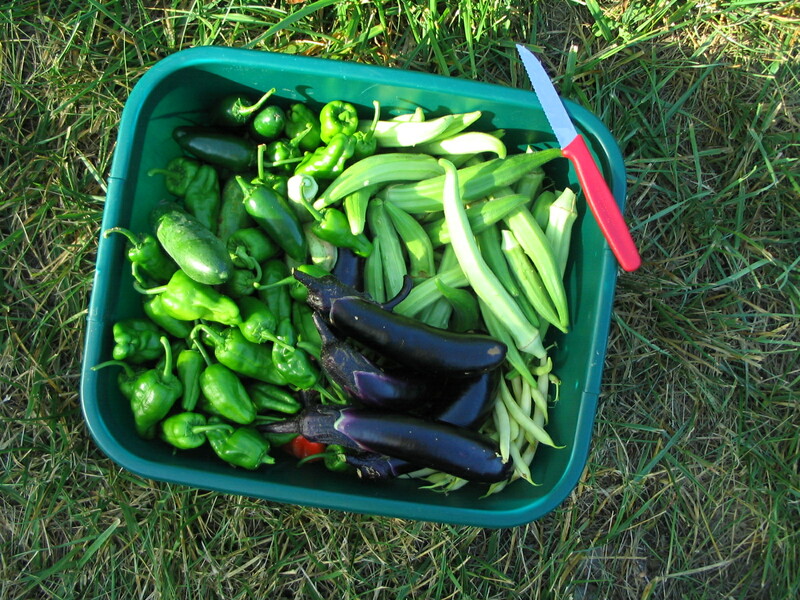 Padron and jalapeno peppers, cucumbers, eggplant, wax beans, and okra. I went digging around in the sweet potato bed to see what was happening underground. 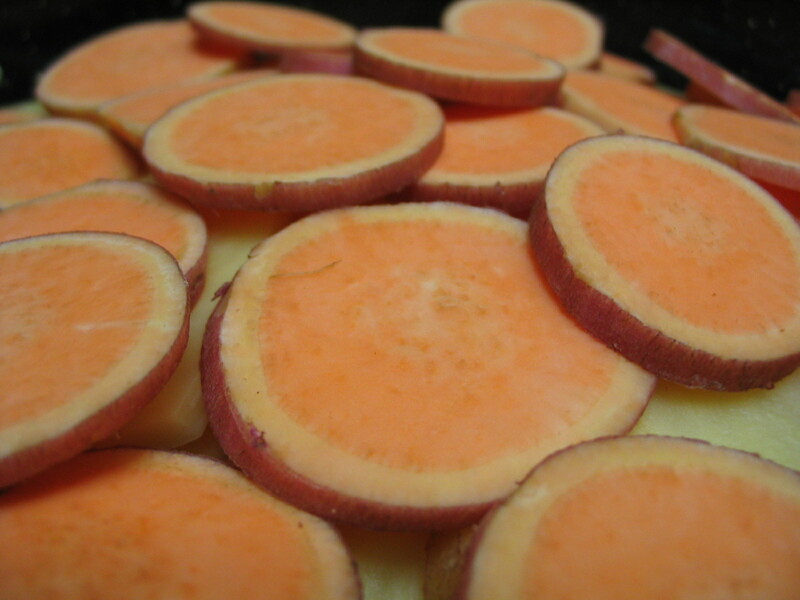 I pulled out two small sweet potatoes, so I mixed them with the yukon golds and made potatoes au gratin. Yum! 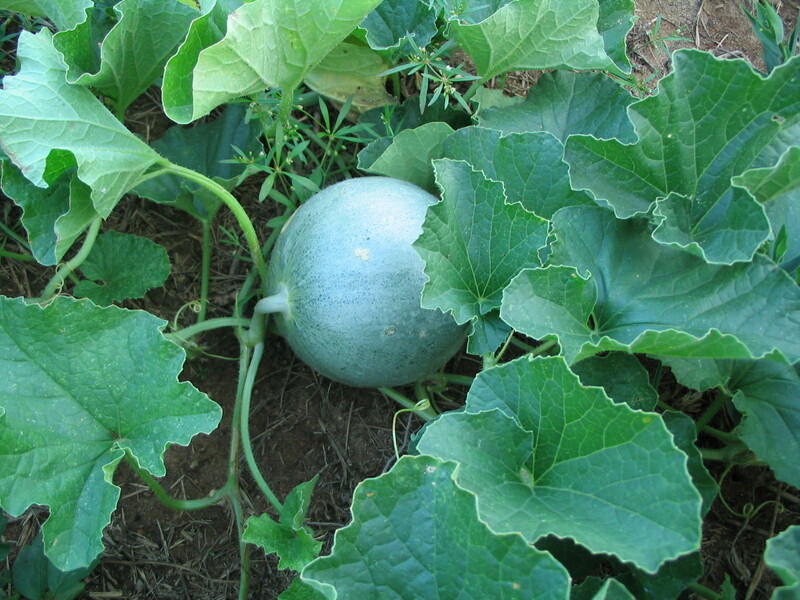 This is Savor, a Charentais melon. We’ll have to wait a few more weeks to try them out. 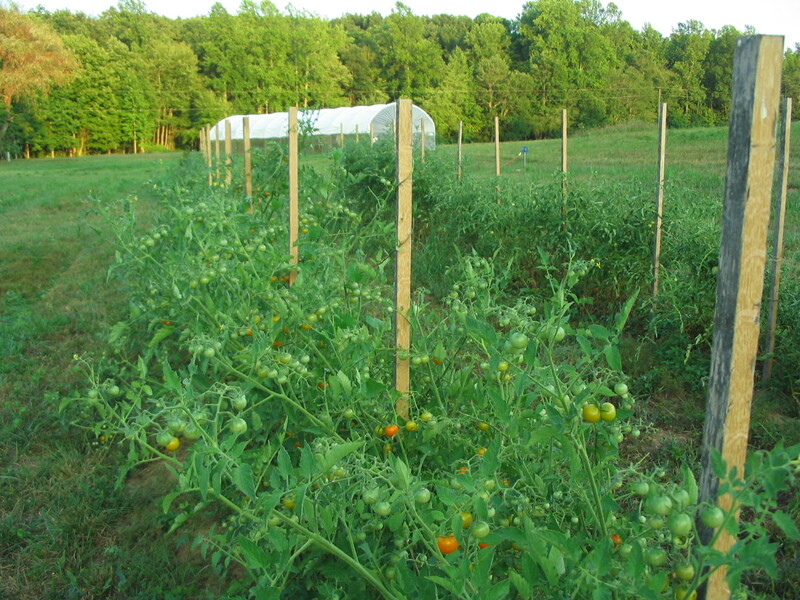 The cherry tomatoes are coming in, as you may have noticed from the last post. 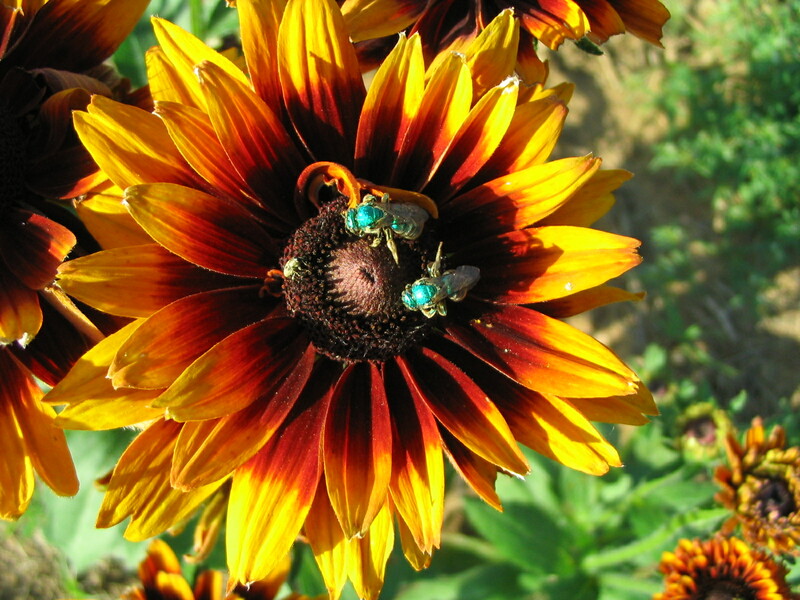 Cappuccino, another variety of rudbeckia, attracting some iridescent green bees. 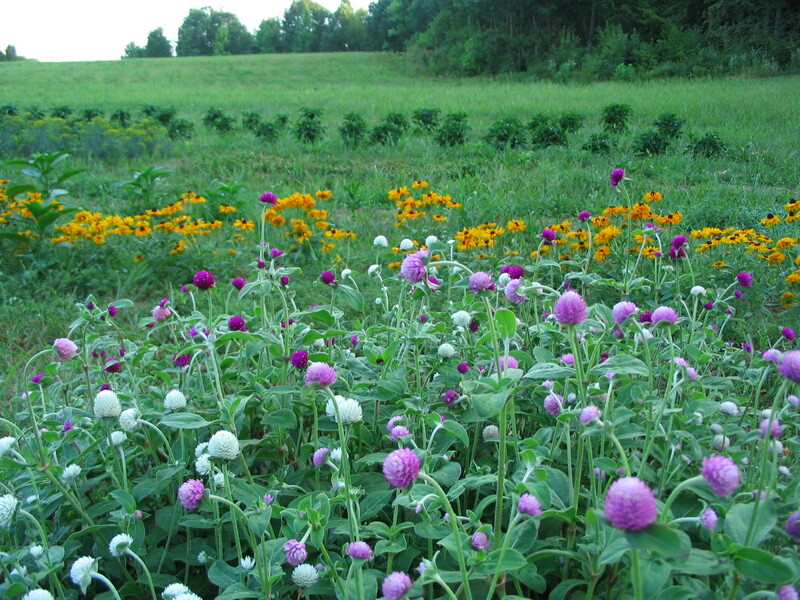 Gomphrena grows well in the heat. 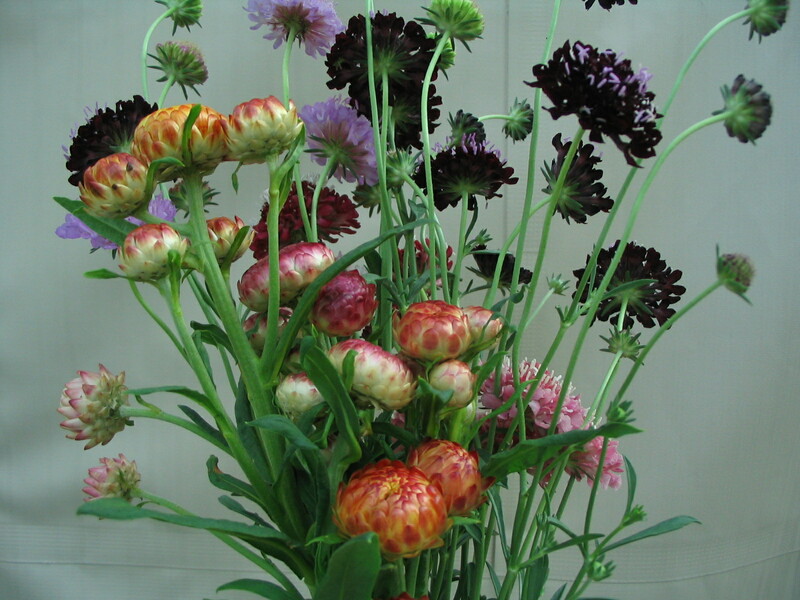 Strawflowers a.k.a everlastings and scabiosa a.k.a pincushion flower.